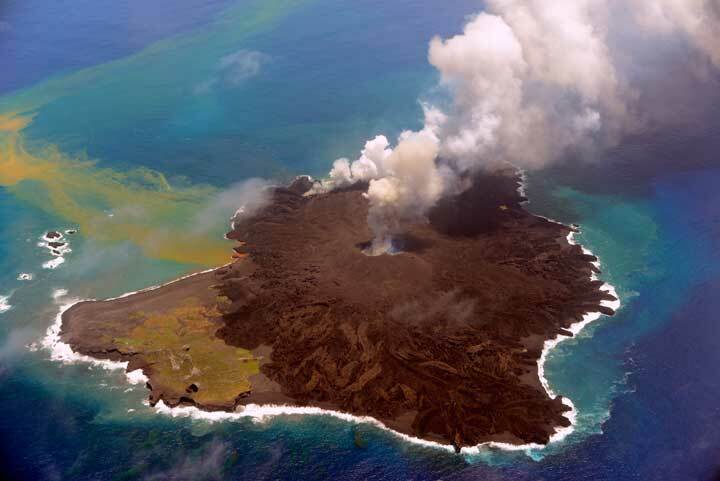 They show active lava flows reaching the sea and enlarging the island continuously, most notably towards the east, where a stretch of new land up to 250 m wide was added during only 1 month! Much of this growth can be attributed to a new effusive vent located near the coast itself (s. second picture). 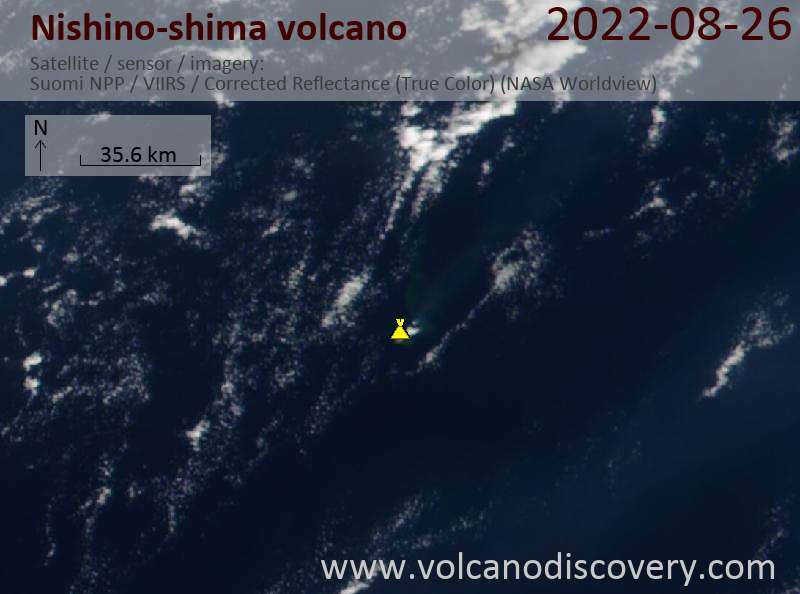 However, it is unclear whether it is a true vent or only a so-called ephemeral vent formed by lava exiting a tube system and ultimately still coming from the central vent. At the central vent, a prominent cone has grown by ongoing explosive activity, strombolian-type, ejecting lava bombs and ash plumes. 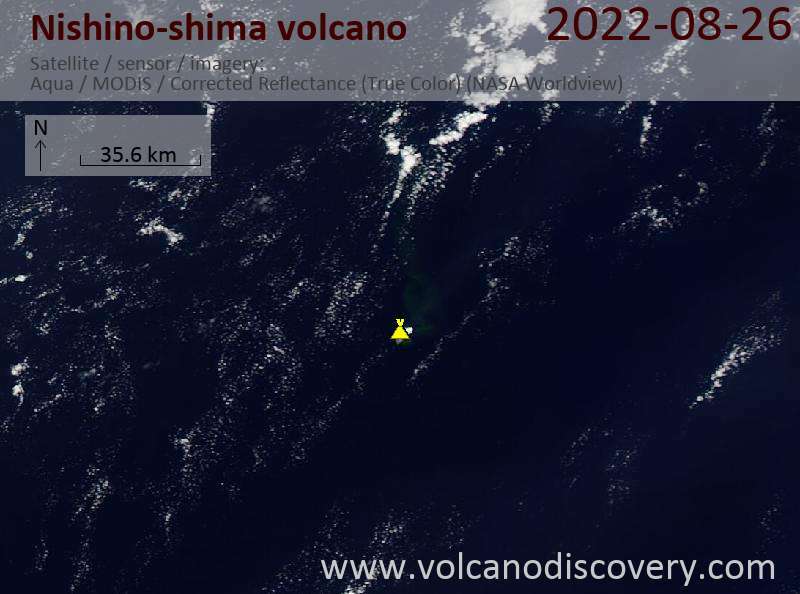 The cone now probably surpasses the still official summit height of the island, 38 m, formed by the peak of the older, now small-in-comparison part that formed the island before the current eruption.